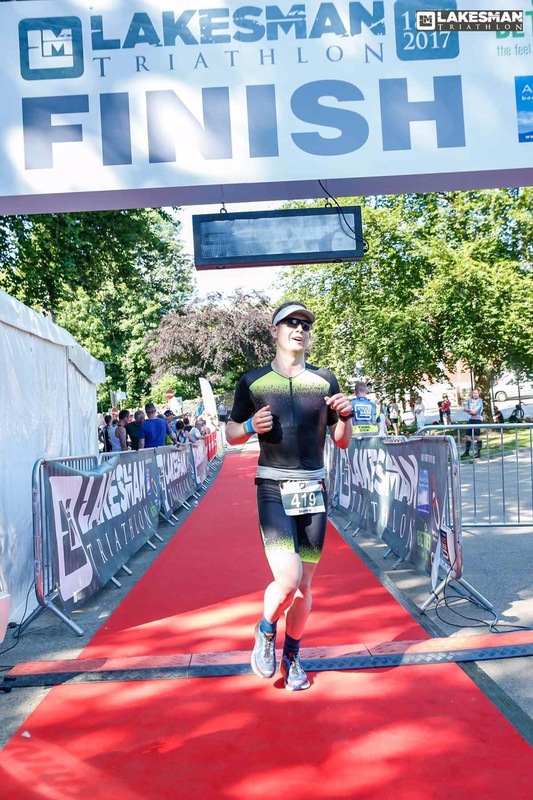 So as my legs begin to feel normal again, and the achievement starts to settle in I thought I would put together this race report for you all to enjoy/mock/awe! For those of you that don’t want to read the whole ‘essay’ below, here is a summary: Stressful buildup, broke the swim course record, was 1st in age category (technically 3rd but I have the trophy 😉), the marathon wasn’t as bad as expected, will do more of this distance! 3. Make sure you can get into your accommodation…having to hunt around Keswick for somewhere to stay the evening before the race because your apartment key doesn’t fit the lock isn’t ideal preparation! 8. The marathon is about survival, walking is fine, but try to have planned sections – I used the aid stations as my walk guides and this worked well until I needed to walk more frequently! 9. Last and most importantly…smile at the finish line! The finisher picture will become a treasured one so make it a good’un! 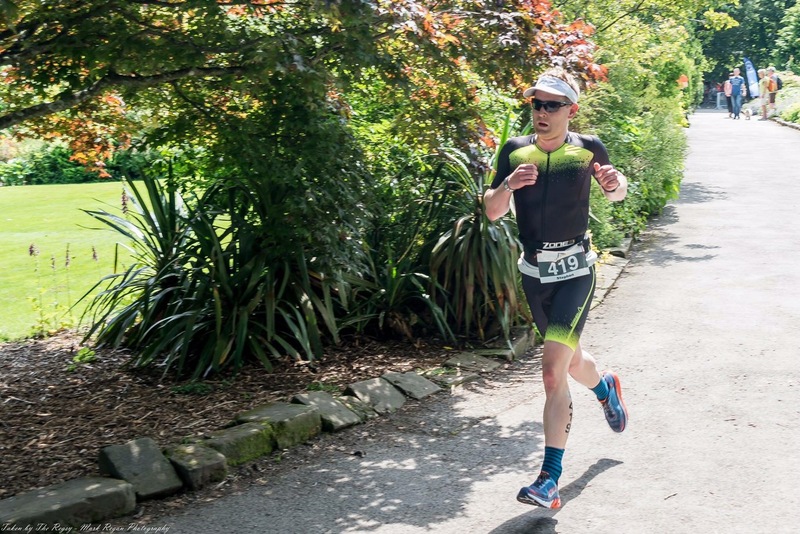 If you’ve made it this far, well done…that’s maybe more impressive than completing any triathlon! I thought it would be a worth giving a brief report on the race itself. Firstly, the organisation of this event was fantastic, the organisers, Phil and Marie, clearly care about the athletes and this shows throughout the event. The race started bright and early in Derwent Water. The lake was beautifully flat on race day and this led to a fast (though blind) swim. The lead kayak was fantastic at leading the way, and very necessary as the last turn took us straight into the sun, meaning any attempt at sighting would have been useless for the most able visioned athlete! 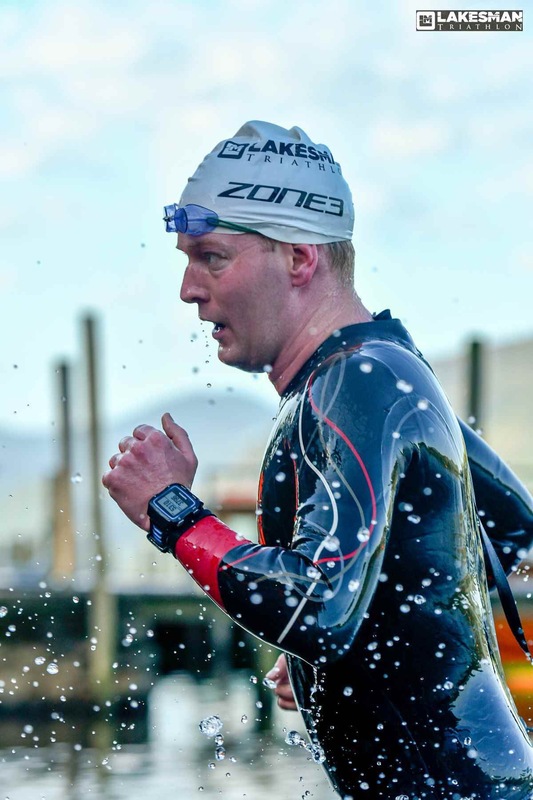 I came out the swim in 53:42, breaking the previous swim record by ~3:30 (which was held by a relay team swimmer). From here it was a fairly short, but uphill run to T1, during which I grabbed my contact lenses from my always supportive wife Amy. Next it was out onto the bike, having led out the swim I had the unexpected VIP treatment of having a lead car to show me the way. I expected this would be short lived but I managed to retain the lead until ~97km into the cycle! The cycle route itself was an excellent mix of fast course, with a few hills thrown in allowing you to sit up off the aero bars and stretch out. The aid stations (when ready for the first biker to come through) did a fantastic job with the hand ups of bottles. 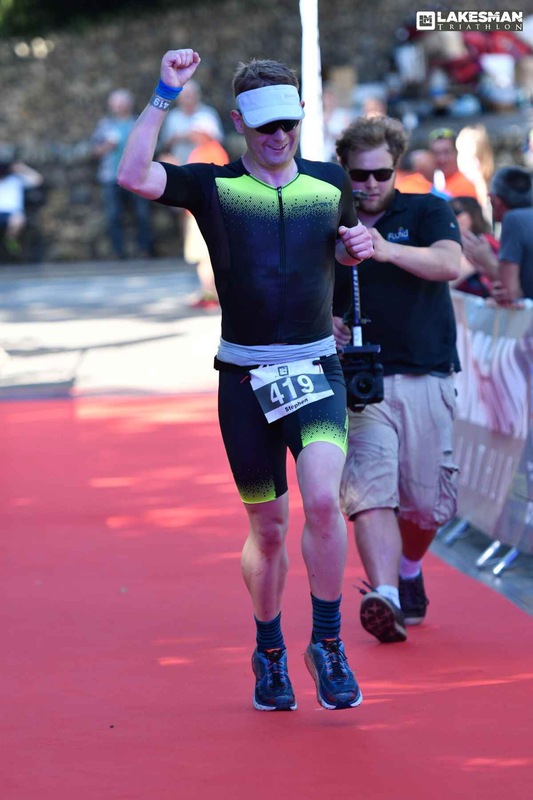 I made it back into Keswick having only dropped a handful of places to 5th with a 5:22:24 bike split – 7 or so minutes faster than my most optimistic goal. At this point I knew the ‘fun’ was about to begin. Having changed into my trainers, and been kindly smothered in sun cream by the volunteers I set of on the run. Amazingly, my legs were feeling great at this point and I had to manage my pace, knowing I wouldn’t sustain my early burst. Unfortunately this was where misfortune hit, at the first U-turn, the barriers had been moved off the road (assumed to have been by a disgruntled local) and at least 3 of us went of course. This resulted in an extra 2km run, only to end up back at the start of the run course. From there I had good spots, bad spots, run sections and walk sections. The biggest surprise about the run was how social everyone is; it was no longer the usual everyone for themselves, rather it was about surviving and everyone was supporting each other in this task. This was a big unknown benefit of a lapped run course. 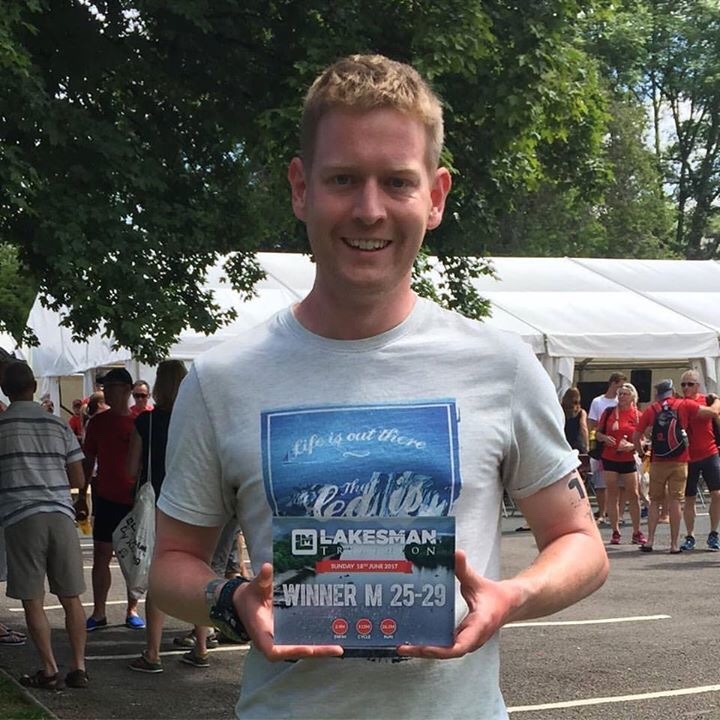 I finished the run in 4:28:23, overall time of 10:49:13, making it in before my 11 hour target. 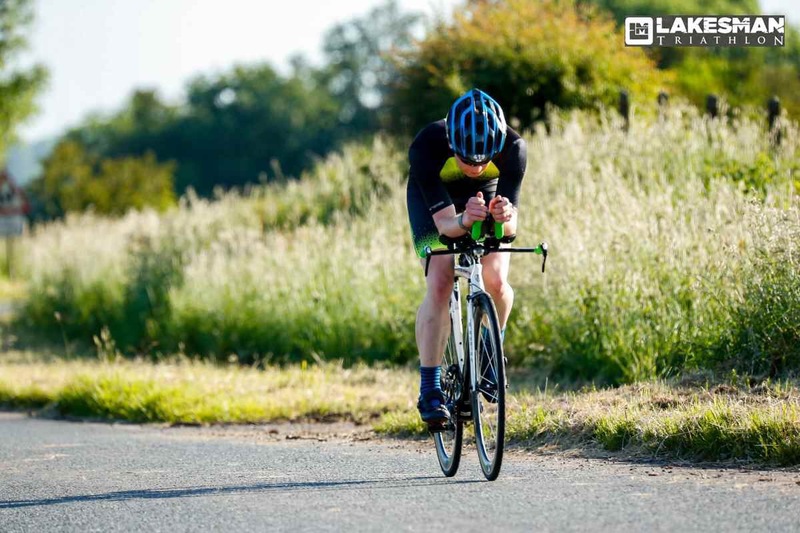 This was good enough for 3rd in my age group (though this got bumped up to 1st as anyone in the top 5 overall didn’t also qualify for AG prizes; this is quite common in long distance triathlon). 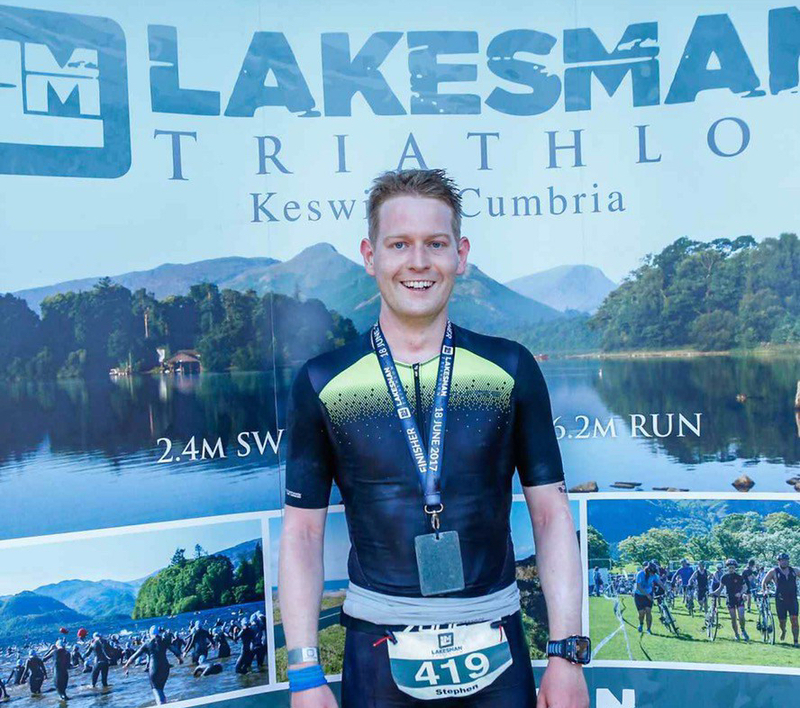 All in all I loved this experience, and would hugely recommend The Lakesman to anyone looking for their first, or a semi-local, iron distance race.